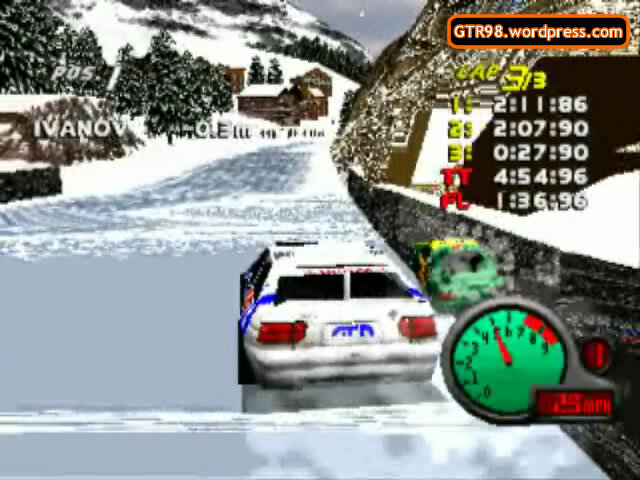 Switzerland 6 features a snowy race for Rally cars. 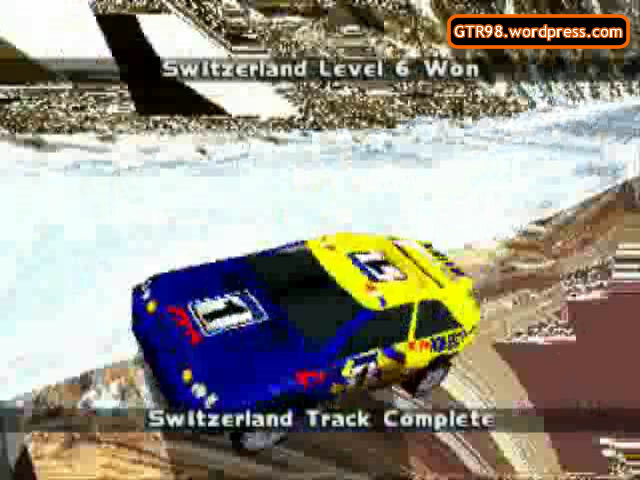 It is the sixth and final level of Switzerland on a track where there are absent barriers – an open invitation for a Rampage. 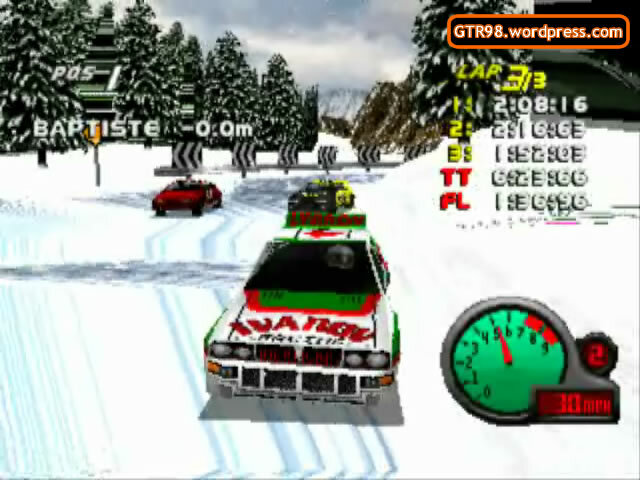 It is raced in the initial direction, so there is a shortcut available on the right side of the major U-turn. 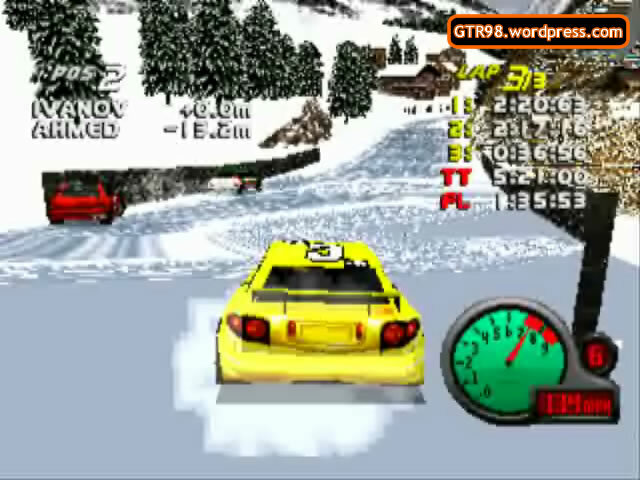 This allows the player to bypass the long winding road thus gain significant ground – assuming they don’t fall Out when trying to squeeze their way back to the main track. High speeds and poor handling are major liabilities in this level, as the roads are extremely icy compared to the previous tracks. 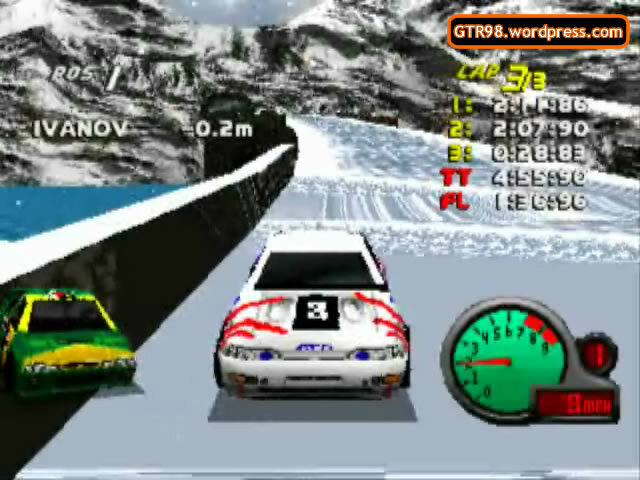 This level can also be played in Split-Screen mode as Switzerland B.
Switzerland 6 is raced on a track which is significantly more challenging than the preceding levels. It is the only level in Switzerland where there are open Out Zones surrounding the track. 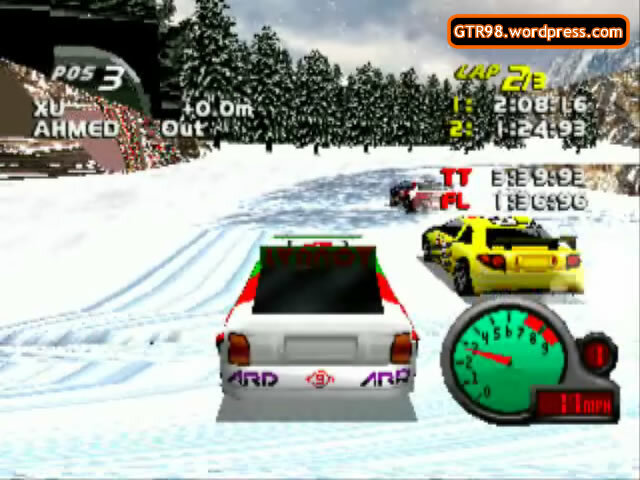 The AI opponents are also more competitive in this level, but their aggressive driving can easily lead to them sabotaging each other off the cliffs. Due to the icy conditions, cars with bad handling are prone to falling off on their own. 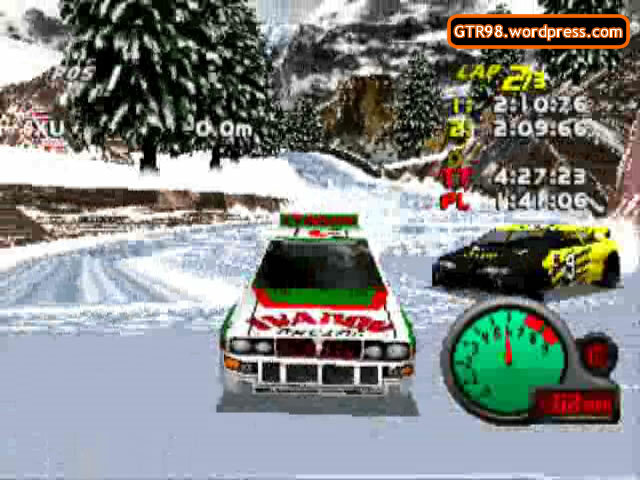 This makes AI Roberts and Baptiste frequent casualties in the race, as they often crash Out as early as Lap 1. 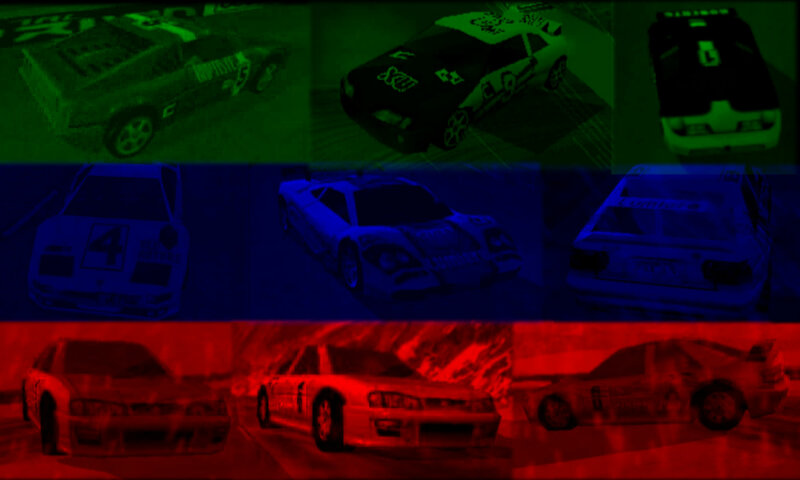 Ivanov and Xu boast superior handling and stability, making them the dominant AI in the race. 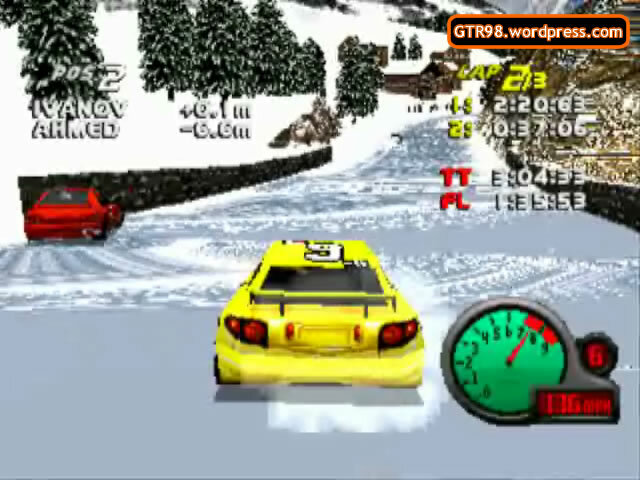 As long as players drive carefully on the open stretches, this level should not be too difficult to beat. 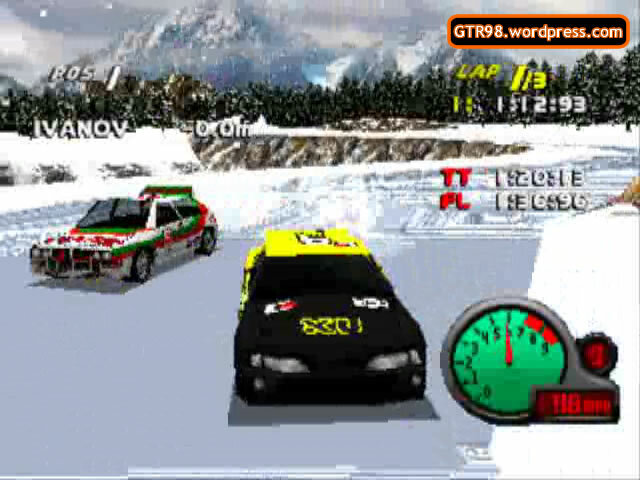 It is even possible for players to completely lap their AI opponents, assuming they take the 1.6-mile shortcut in all three laps. Players also have a field day for a Rampage, where they may attempt to knock all their opponents Out of the race.